Buyu Camps are a great way to connect with old friends and get that "continuing education" and inspiration that will help you "keep going" when you get back to your own, local training group. If you are a "first-timer" — welcome! No prior experience is necessary. You'll enjoy the cooperative and friendly atmosphere. Training starts Friday Night, September 20 and continues until Sunday afternoon, September 22, 2019. Training is rain or shine. There will be a no-host dinner at the Colts Neck Inn on Saturday Night. To download a registration form click here. Print it, fill it out and bring it with you. 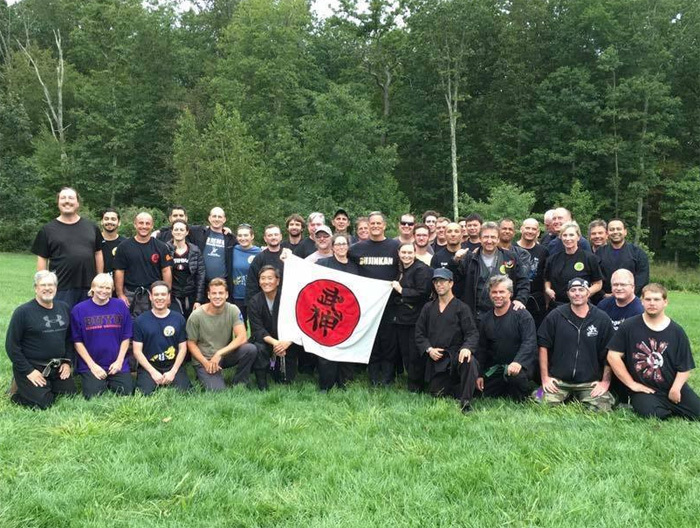 Note: If you are a Bujinkan Shidoshi instructor who would like to offer a workshop and will be bringing students please us for information on special discounts, or check the application.